Despite a schedule from hell, and a bad case of food poisoning, Spirit of Harmony founder and president Todd Rundgren found time to sit down with Music In A Word editor Alan Meerow at the Tyrolean Getaway in Stowe, Vermont for a wide-ranging interview. Here is part one of what will ultimately be three posts for our blog. AM: In his 2007 book, “Musicophilia,” the late Oliver Sacks had this to say about music: “Music, uniquely among the arts, is both completely abstract and profoundly emotional. It has no power to represent anything particular or external, but it has a unique power to express inner states or feelings. Music can pierce the heart directly; it needs no mediation.” With everything we’ve learned from the neurosciences in the last few decades, what are your ideas of how and why music has this power, this incredible ability to pierce the heart directly? TR: I think it has to do especially with man evolving out of the forest and into the cities and things like that. It initially represented a connection to nature. Man didn’t teach birds to sing; birds taught man how to sing. And so what happened, it became essentially a principal form of communication. And there’s something sort of inherently mystical about it. Most other art forms are concrete. They proceed usually from a single artist; not necessarily, of course there is collaboration, but a single artist will create something that once done has, let’s say, a life of its own. It can be hung on a wall; it can be enjoyed simply by looking at it, but music only works when it’s actually going on; when it stops, then everything is going on in here [points to head] by then, no one else has heard what you heard. There is no way to sort of appreciate it by describing it in words. You can try, but ultimately you’re going to go “what’s that song that goes da-da-da-da-da-da,” but if somebody can give you enough context and sing the melody and you know the melody, then it gets replayed in your head, and I think that music was initially probably a liturgical exercise. It has such mystical power over people that it was a religious sacrament and either specialized individuals or all tribes, perhaps, have traditions, but it wasn’t like “oh man let’s get together and jam” kind of thing; this was always an end to some sort of usually mystical event or asking for a fruitful hunt or coronation of a tribal leader or some other thing. It was probably very, very simple, but the idea was that music has the power to essentially get everyone on an equal vibrational plane. AM: Do think that the relationship of music and art, both in our spiritual life and our intellectual life, just the way music affects us – do you think there was an accentuation of this when we moved away from the nomadic lifestyle that we inhabited for most of our evolutionary time and into what was settling down, first agriculture and then so on to the Industrial Revolution until finally this electronic madness that we live in these days; do you think that relationship changed in some way? TR: Well, the music came to represent the things that were no longer commonplace in the average person’s life like the sounds of the forest, the chirruping of frogs, you know, the twittering of the birds, the howling of coyotes, whatever it was; all these things were musical inspiration, and somewhere way down in our DNA that’s in it, just the way we have descended from other forms of human life, primitive forms that had few means of communication. But probably the discovery of music or the idea of music is as significant as the discovery of fire in a way. Human beings went through whole eons of survival, without actually knowing much about fire or how to control it and make use of it for all of the things that it could do. I think that music does that but as I say it’s an ephemeral art. It does not exist until it’s being performed in some sense or another, which in the world we live in today, it’s always hard to get people out of the comfortable assumption that there were always records and record players [chuckles] like that, when in the greater history of music, this is all latter-day stuff. And sort of what’s happened is that there’s been a bifurcation of the tribe. Instead of the whole tribe participating only some of the tribe is making music and the rest of the tribe is listening to the music, and that’s always like a strange thing for something that affects people so universally and with such predictability sometimes that people don’t want to know how it works, but are simply into enjoying. It is kind of a strange thing. It’s like it became arcane knowledge and only specialists would know how to make the sounds for everyone who was willing to listen. AM: That’s interesting. I’ve tended to think that is was how religion came about, and essentially became was a tool of control, of controlling the populace. I hate to think of music in that way becoming a tool for that, since we like to think of it as a liberating force. Todd Rundgren and Music In A Word editor Alan Meerow. Photo by Tom Eighmy. TR: Well it evolved along with all of the other developments that mankind has evolved post- fire, the wheel and all those essential discoveries, and then they go through constant refinement, a greater understanding of how they work, indications of the possibilities of other things, and in what they represent. It’s likely that as music became more sophisticated, it placed greater and greater demands on the person who wanted to understand it. For instance, it probably started out with a lot of percussion, sort of a recollection of the heartbeat or whatever, and the whole idea is to get everyone on the same pulse, feeling the same pulse, and that in itself is something of a liturgical or religious experience. AM: I wonder if the next evolution, initially the percussive element and the heart relationship, the heartbeat; in at least a lot of indigenous cultures, it seems that probably the next evolution was flutes and other wind instruments. TR: Wind instruments seem likely in the evolution, but then you’re talking about something that first of all is more complicated to make and more complicated to learn how to do. You’re going from this [taps a simple beat] all you need is a stick and a rock, then suddenly you’re working on your embouchure [laughs]. And you’ve got to understand the physical concepts, you know, where the shorter little reeds make higher notes and the longer ones make lower, or you can bore holes in a long reed and get different notes out of it. But once that happens it takes it to another level of complexity that most people probably are not gonna go. The phenomenon exists today; most people want to learn as much as they need to learn and only a few are curious enough to go beyond that. AM: A lot of the people here in Stowe, myself included, have had some personally profound experience with your music that defied logic, defied expectation. What do you make of that? Obviously, the relationship with the first question is there, but is it purely mechanistic, some weird congruence of our nervous system’s architecture and sounds that you make, your constellation of sound, the so-called Rundgren chords, or is it something more? TR: Well, I’m not sure that anyone will be able to fully understand it. There are theories about why. I think it was Aristotle or some other ancient Greek thought that there was an actual real science, that various notes corresponded to planets, to colors and that was driven by the essential fascination of how does this work, how does it do this? Can we find some external influence that is actually causing the effect and not the music itself? AM: Have you had transcendent experiences with music? TR: Being kind of a natural born musician, you know, it’s one transcendent after another. Part of what the research, and a lot of the ammunition that we’re providing for people who want to start music programs, is about the so-called permanent effects that understanding the music can have on you, and musicians and people who are not musicians actually think differently about sound, and process sound differently. One interesting phenomenon was the fact that you become better able to pick out a discrete sound in a noisy environment like for instance at a cocktail party or something were everyone is yammering away and you want to focus on one person. AM: Yeah, I’m victimized by the lack of that now at this age. TR: [chuckles] Or just by deterioration of your hearing. But the differences as I interpreted it and as I understand it from the way my own brain works being a musician, when I hear something, a piece of music, my brain automatically deconstructs it: that’s the bass line, that’s the guitar line, that’s the keyboard part, that you can essentially focus in on all the different instruments and figure out what they’re doing. The average person who has not made some sort of effort to understand how music works, and to learn about it, hears the whole thing at once, it might be one big instrument to them, it’s not like five instruments, it’s one big instrument. And learning music, the more intricate aspects of it and how to make it and how to play an instrument in order to produce it, and especially working ensemble with other players, you begin to realize that music is not just one big instrument jammed together and then you start to focus on the various sounds that are going on until at the point where it becomes instinctive for you as it has for me. So that separation between the creator of the music and the people who listen to music. It doesn’t mean that people who do understand music, have a lesser appreciation of it, but they hear it differently than the average person does. The effect in the end may be equal, it may make the non-musician and the musician weepy [laughs], a certain quality, or maybe for different reasons. The listener doesn’t know why, but the musician may know why. AM: Has your own music had that effect on you at times, I mean brought tears to your eye? TR: I have … that’s one of the reasons why many people get into music in the first place. They want to be able to create those emotions in other people, and they’re not able to do it with the typical sort of means; they’re either just not articulate or not socially comfortable or something like that and they’re always too shy to talk about their emotions, but music is sometimes the ideal setting for that; it abstracts the emotions and feelings and the words out of the person so that you’re not dealing with their … they’re feeling judged by you while trying to express themselves. Ultimately, listeners take advantage of this as well by kind of … “baby, this song says everything about what I feel about you.” Of course, it’ll be somebody else’s song. But you sometimes put the words in people’s heads that they are looking for. That’s also a unique form of music, music that has lyrics and voices as well … in some ways has a distinctly different effect than music with no voice and for many people it becomes more of an intellectual exercise. For instance, I can appreciate the mathematical genius of Baroque music, but from an emotional standpoint, it’s kind of like this for me [draws a flat line with his hand and chuckles]: “Isn’t that an interesting sequence of notes,” you know, like that, and it wasn’t until we learned yet more about music and other composers dared to do other things that weren’t so strictly defined by the mathematics, that emotions started to find its way … specific emotions started to find their way into the music and composers would learn how to do that, learn what are the note combinations that evoke this. The thing that you have to also remind yourself is that these effects are not necessarily universal. Music evolved in completely different directions in other cultures. Chinese music is nothing like Arabic music which is nothing like Western 12 tone scale, then there’s Balinese micro-tonal, untempered … stuff like that. Once you get used to hearing it that way, then you might be able to understand what sort of emotional content is being represented. AM: How much of it is of the culture, or how much it may have affected the culture, influenced the culture? AM: I guess music scholars may know the answer. TR: It’s like Middle Eastern music is always in minor keys, but nothing’s ever in a major key, so one might make the assumption that every song they write is a sad song [laughs], you know. But no, they can still — and I don’t fully understand enough to tell the difference — but there’s a difference between a happy song in a minor key and a sad song in a minor key [laughs], or a song about anything in a minor key ’cause they never get out of a minor key. They don’t have sophisticated note phrasing and things like that, like major and minor 7ths and 13th’s and all this other stuff. They have a pretty kind of well-settled tradition, and usually if someone from a culture like that wants to be able to broaden their appeal or be able maybe express with greater nuance what they’re trying to do, they usually go and learn music in the west [laughs]. AM: I heard you say recently that “Bang The Drum,” which you’ve previously characterized as a throwaway song, actually came to you in dream. AM: I remember an interview between Bob Dylan and Charlie Rose in which he talked about that. How he felt a vessel for his early songs, and now that’s gone; that’s just not his experience as a songwriter any more. So I wonder how the creative process of writing music has changed for you over the years. Do you find that … did you ever think that these songs were like gifts to you in the beginning? AM: It meant a lot to us pining 18- and 19-year olds, believe me. TR: [laughs] Well, the sentiment and the changes and everything seemed to work. Although it was at the time a very atypical sort of song in terms of its structure in that it doesn’t have … it’s one of those songs in which the verse is also the chorus, so it’s only got like verse-choruses and a bridge [laughs]. So it doesn’t have a regular, typical sort of structure, which maybe makes it stand out a little bit, somehow makes people notice it. 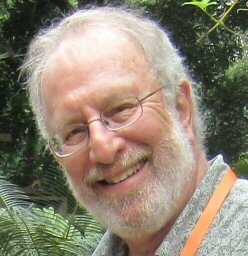 Alan Meerow works as a tropical plant research biologist in Florida and is the managing editor of the Spirit of Harmony Foundation blog pages.